The new chief information officer of Ireland’s Health Service Executive once had plans to become a teacher. 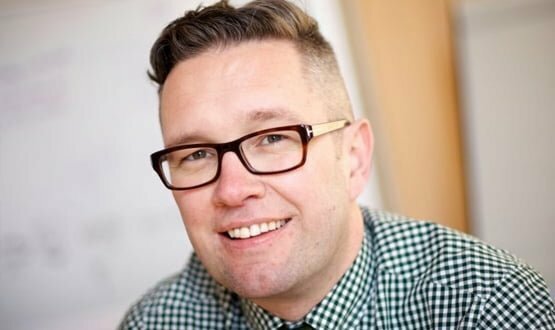 While he hasn’t realised this early ambition, Richard Corbridge believes health IT has given him another way to make a difference. Corbridge will start his new role on 15 December, leading the way on the Irish government’s plans to transform health IT in the country from its current state. It is undoubtedly a challenge, but one he says he is looking forward to and which his years of experience in the NHS will prove invaluable. Corbridge’s first role after leaving university was as a quality and systems analyst at Perot Systems Government Services, before moved into a position as a programme manager at the NHS Information Authority in 1998. 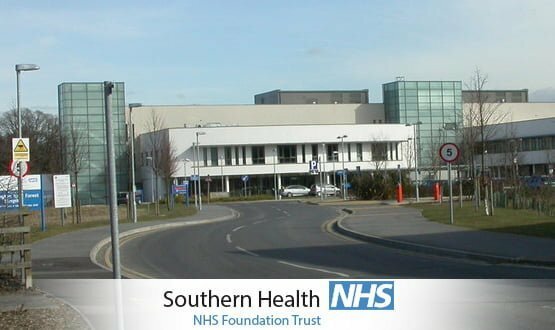 He took on a range of responsibilities during his five-year stint, including technical support for cancer screening and leading the data transfer service programme to transfer information between NHS organisations. The establishment of the National Programme for IT led to a valuable change of scene, as Corbridge moved to the Solihull Care Trust on a one-year secondment as the primary care trust’s associate director of modernisation and redesign. “I got frontline experience, which really helped me understand how to apply the national programme to a real-life situation,” Corbridge says. In 2004, he was recruited to NHS Connecting for Health as a programme manager, where he took on responsibility for implementing the Summary Care Record and oversaw “the first few million records” going live. A move to the NHS Information Centre in 2009 saw him manage a number of project roles and look at how information could support research – a perfect build-up for his appointment in 2011 as the CIO of the NHS National Institute for Health Research’s Clinical Research Network. Leading the knowledge and information directorate, which provides information systems and business intelligence to a workforce of around 10,000 NHS staff, Corbridge procured and implemented a range of systems. His work won recognition at a national level, with the network’s open data platform a finalist at the 2014 EHI Awards for ‘excellence in healthcare business analytics’, for bringing clinical research data sets together with multiple forms of data analysis and visualisation. When the Health Service Executive came looking for a CIO, Corbridge says the opportunity to build up the Irish health IT systems from the ground up was too compelling to ignore. Ireland’s health service has never had a CIO before; the need for the role was established last year in a “roadmap” published by the Department of Health and the Health Service Executive on how technology can be used “to support healthcare from the very beginning”. The Irish healthcare system differs significantly from those in the other areas of the UK. Corbridge says Ireland has a two-tier approach to health, with a voluntary sector which caters for more well-off citizens with health insurance and public hospitals for those who require greater assistance. The Irish government is planning to reform the healthcare system to bring the two sectors closer together and make them easier to access. Improving the country’s use of healthcare IT will be a key part of that. “I want to make sure technology as a base for the provision of healthcare steps up in Ireland,” Corbridge explains. Corbridge says the next five years are about putting together the foundations – “more than building blocks”– for a national approach to health systems. One of the main projects is to establish an individual health identifier, an Irish version of the NHS Number, to ensure patients can be accurately and consistently identified across systems. A number of other “basic things” that need to be accomplished include connecting the GP system to other parts of the health service, and work to start integrating systems across social and community care. The need to push ahead with an IT transformation is acute: Corbridge mentions plans for a new Dublin’s children hospital in 2019, designed as a digital hospital with no space for paper records. Despite this, Corbridge is determined not to set “unachievable deadlines” for suppliers. He says the health service will need to work with them to understand what they can deliver and how they can help each other. Clinical buy-in is also critical: Corbridge says he is keen to ensure that clinicians are more tightly integrated into IT projects to assuage any concerns they may have and ensure they can become advocates for greater use of technology. As Corbridge steps into the role, he is keen to learn from and work with his nearby neighbours at the devolved administrations such as Wales and Scotland, collaborating on systems where appropriate to avoid unnecessary duplication of effort. He believes lessons can also be learned from NPfIT, both in its unwieldy centralisation and lack of engagement with local areas as well as the good work it did to lift digital maturity and put some key systems in place. While Ireland has not led the way with health IT, Corbridge says he is heartened by the vision laid out in the government’s e-health strategy and confident that he can help the country’s health system to meet the challenges it faces.